Who is Willow Insurance Group? At our company, we love hearing about our clients, but you may be wondering who we are. Meet our leaders and get to know what makes them tick. 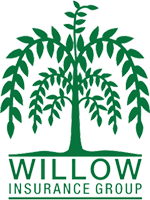 Welcome to Willow Insurance Group, your choice for commercial, group benefits, and personal home and auto insurance. Our staff is fully licensed for your insurance needs, and we are committed to providing you with the most up to date products and excellent customer service. Commercial Insurance: Business insurance can be confusing. There are many types and it is hard to know how much to buy. We provide everything you need to make the best decision for your business. Group Benefits: Group health insurance, dental, vision, and voluntary plans such as short and long term disability. We’ll help you navigate the ever changing healthcare environment. Home & Auto: Willow Insurance Group offers a variety of home and auto insurance policies to meet your needs. We can customize a plan that is right for you and your budget. Life Insurance: Your loved ones are counting on you. Be prepared with a life insurance policy that will protect them in the event something happens to you. Life insurance is crucial for the planning of your future. Whatever your needs, we will provide the highest quality insurance options for you. Our licensed experts are just a phone call away. Call us today for more information or a quote! If you are busy, try our online rating tool for a quote on home or auto insurance straight from your computer. Don't wait for an emergency to explore your options, contact us now.